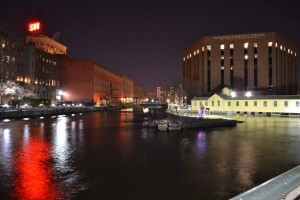 This page contains examples of small-scale projects and events to inspire new ideas for Lowell! Keep visiting, as we'll be adding new inspiration all the time. Lower Locks Gatehouse Island Tree Project Downtown: A couple of citizens got permission from LNHP, purchased a tree and materials to secure it, borrowed lights from a previous Gatehouse Island Tree project, and put it up themselves. 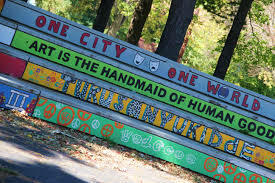 This really shows how a tiny project can make a great impact on a public space! Caturday Downtown: A local business owner organized a four-hour event on Saturday, Feb 21 focused on cats. 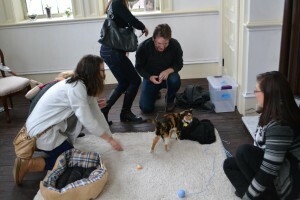 She teamed with Kitty Angels, the Lowell Humane Society, and artisans and vendors for a program that combines a good cause (finding cats forever homes) with a fun shopping day. Welcome Rainbow Acre: A signature Lowell site was created by neighbors, local artists, and other folks a small intervention at a time. Although the entire project is larger-scale than the ideal DIY Lowell project, the first step would have definitely been eligible! What could be the next Welcome Rainbow? More information at Learning Lowell. Little Free Libraries Lower Highlands and Back Central: Jeanne D'Arc Credit Union sponsored two Little Free Libraries, partnering with Mill City Grows and the Boys and Girls Club. 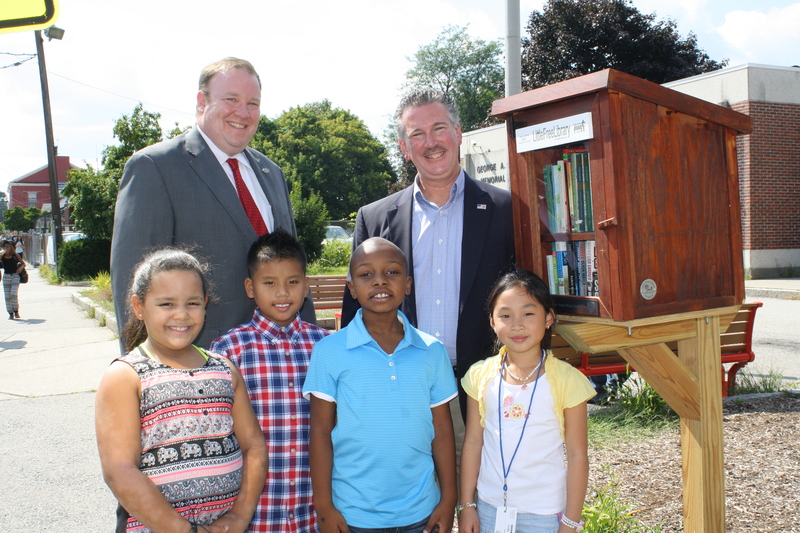 Little Free Libraries are models stocked and maintained with books for passers-by to borrow or take. 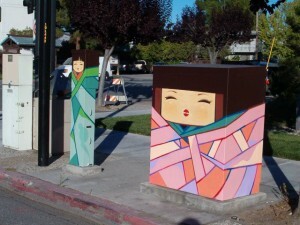 Painted Utility Boxes Lawrence, San Jose, and other cities: Around the country and as close as Lawrence, MA, cities are turning city-owned electrical boxes into colorful pieces of art. Vinyl wraps or hand painting both can be used, and the price varies on artist. Aesthetic Grounds provides some facts and info. 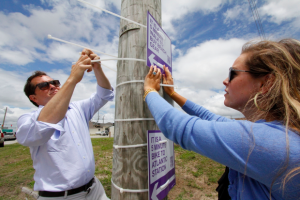 DIY Wayfinding Signs Raleigh and many other cities: You can make DIY signs at https://walkyourcity.org/ to let visitors and residents how close a walk it is to nearby attractions, encouraging people to walk or bike to points of interest rather than driving (or not going at all!) More background at Citylab. 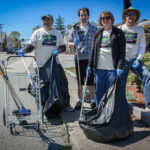 Getting Tactical in the Creative Capital with PopUp Providence - Slideshow by Providence Department of Planning and Development overviewing how Providence is using tactical urbanism, including a lot of examples with costs. Hack Your City: 12 Creative DIY Urbanism Interventions - Twelve ideas with photos from many cities for creative city "hacks" from Web Urbanist.